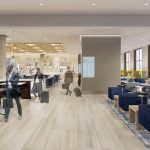 New renderings, as well as additional details, were released this week of Amtrak’s new amenity space in Moynihan Train Hall. 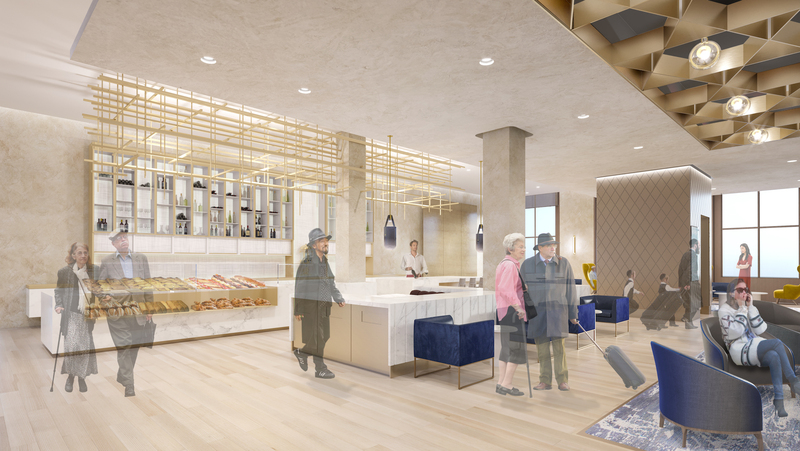 ClubAcela is getting rebranded as the Metropolitan Lounge and moving across the street from Penn Station to the new train hall, which is set to open in early 2021. 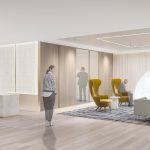 Designed by FXCollaborative, the sleek new space offers more room, private restrooms, free WiFi, and better food and drink options. 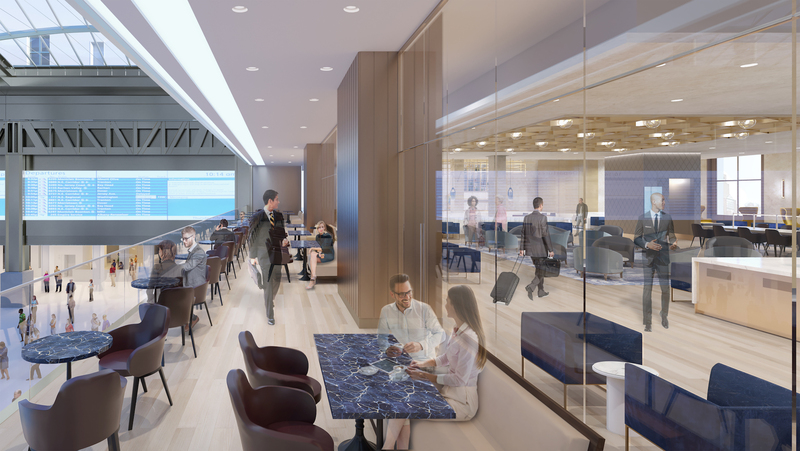 “Our customers are going to love the new, modern amenities in the Moynihan Trian Hall, and we expect these renderings to continue to build their excitement for the Train Hall’s opening in 2021,” Stephen Gardner, the chief commercial officer of Amtrak, said in a press release. The transformation of the historic James A. Farley Post Office into the Moynihan Train Hall is currently underway. 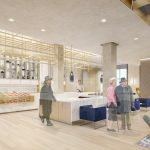 The new train hall sits on 8th Avenue across the street from Penn Station, which will increase its total concourse floor space by over 50 percent upon the project’s completion. Last summer, the hall’s 92-foot-high glass skylights were installed on top of the building’s original 1913 steel trusses. 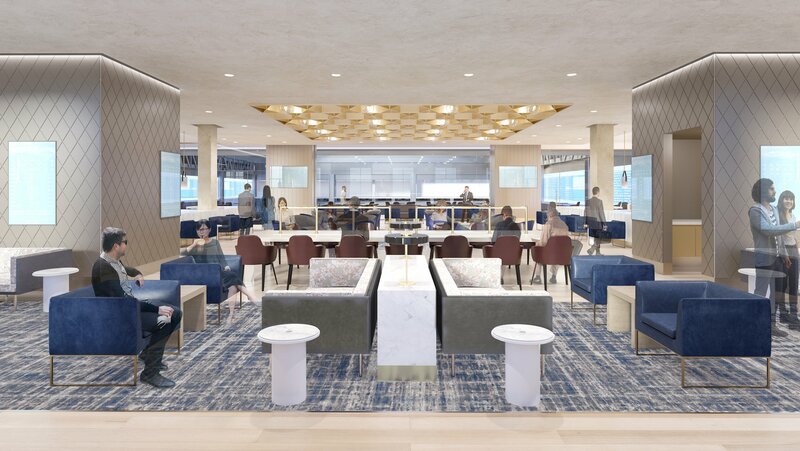 Amtrak’s new home at Moynihan will feature larger boarding areas, designated waiting areas with private restrooms, free WiFi, a lactation lounge for nursing mothers, and combined ticketing and baggage area for a more efficient process. 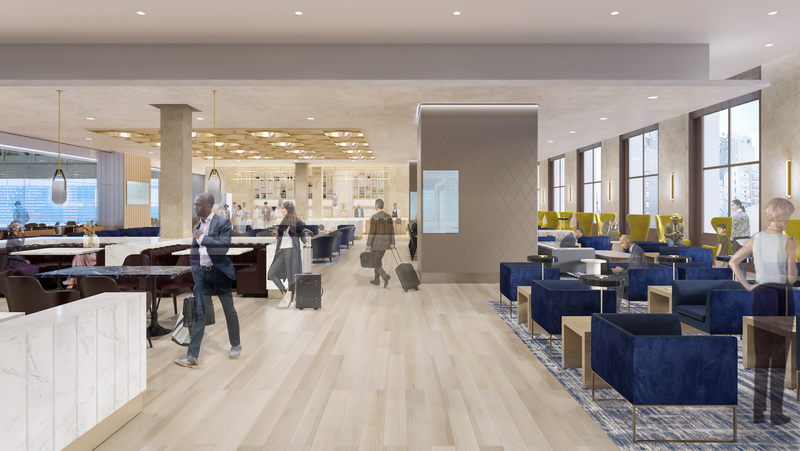 At the Metropolitan Lounge, customers will be able to enjoy priority boarding and personal customer service agents. 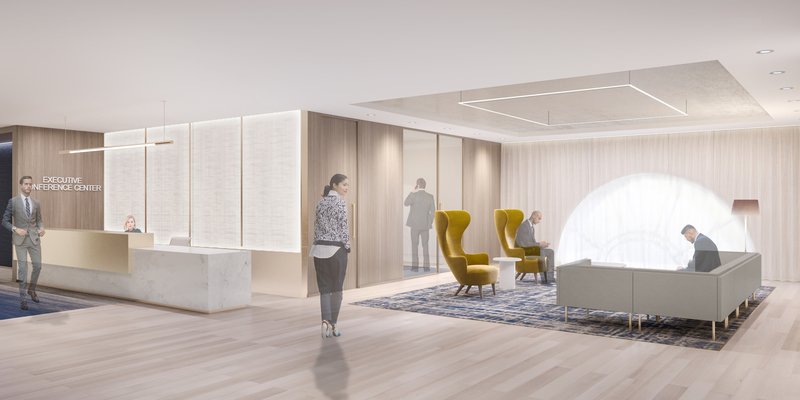 Plus, there will be lots of space to sit and work, with tables equipped with outlets and USB ports. 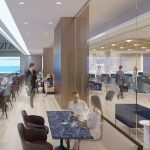 The new space offers a “dedicated family seating area” and more food and drink options than the prior space. The Executive Conference Center includes a business center and conference room, as well as a 20-foot-tall balcony that overlooks the hall. 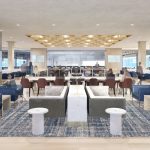 Amtrak’s Metropolitan Lounge will be offered only to Acela First Class or sleeping car passengers, as well as Amtrak Guest Rewards Select Plus and Select Executive members. 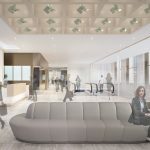 But those without special member status will still enjoy the new train hall, which will have roughly 70,000 square feet of new commercial, retail, and dining spaces on its second-story mezzanine.